GAVAMAR.COM - What is the 'Pla Delta'? WHY THIS 3rd RUNWAY ? 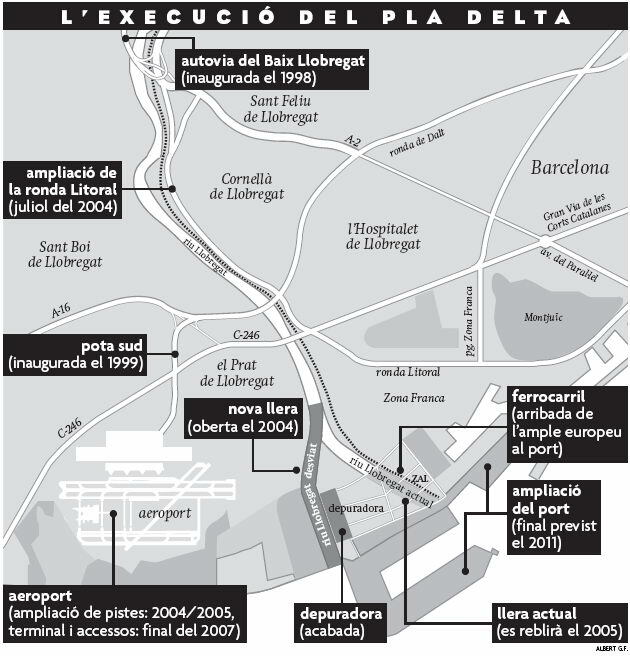 1) On April 16th 1994 the 'Pla Delta' was signed and among the actions it called for it also contemplated the possibility of expanding the Barcelona airport. A) What is the 'Pla Delta'? B) Was the expansion of the airport necessary? C) Why did ecologists oppose the plan ? A) WHAT IS THE 'PLA DELTA' ? This agreement established a series of future plans and projects whose objective would be to convert this geographic area into the main central distributor of Southern Europe by means of the construction of a logistical platform. This location would become a key element to the economic development of Catalonia as well as a strategic zone within the European Union. The agreement would also guarantee, as well as increase, the landscape and environmental value of the delta and surrounding areas. With this in mind the 'Pla' seeks to take advantage of the synergies of the great port and airport installations as well as the potential connections with the road and rail networks -all of them located within the Barcelona area, which continues to be the leading industrial zone in Spain-. Its ultimate goal is to strengthen the area as a point of reference within the framework of the Mediterranean and Southern Europe. B) WAS THE EXPANSION OF THE AIRPORT NECESSARY ? 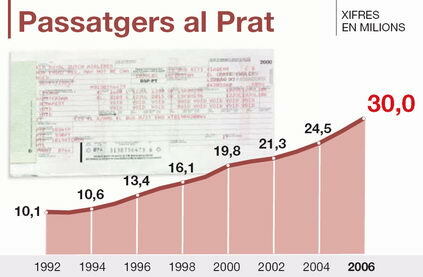 The growth rates of the Barcelona airport allowed one to foresee its rapid saturation since its traffic doubled in the 1990's. In 1999 it was Spain's third busiest airport with 17.4 million travelers while maintaining itself among the top 15 International airports in Europe. It was undertaking 52 operations per hour and it was anticipated that it could achieve a maximum of 54 operations per hour with approximately 21 to 23 million travelers between 2002 and 2004. C) WHY DID ECOLOGISTS OPPOSE THE 'PLA DELTA' ? Since the creation of the 'Pla Delta', ecological groups of Baix Llobregat have strongly manifested their opposition to it presenting alternative plans and participating in all sorts of demonstrations and protest activities.